The #333 V8 Racing Renault RS01 FGT3 of Luc Braams, Max Braams, Nicky Pastorelli & Miguel Ramos leads the Hankook 12H ITALY-MUGELLO at the close of today first half of the race. After completing 120 laps, Nicky Pastorelli crossed the line in first place, followed home by the #702 Scuderia Cameron Glickenhaus SCG 003C. The SCG 003C finished a lap down, but will start side-by-side with the Renault RS01 FGT3, which will have to make a pit stop early in part 2. GT3. During an early Code 60 the #10 Hofor-Racing Mercedes SLS AMG took the lead when the Porsche came in for an early stop. 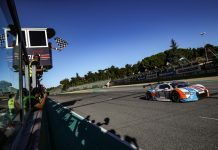 The lead then kept changing as teams came in to make pit stops, with MJC – Furlonger, Optimum Motorsport, Scuderia Cameron Glickenhaus and Massive Motorsport all leading the race at one point. 20 minutes from the end of part 1, Nicky Pastorelli passed the #14 Optimum Motorsport Audi R8 LMS to take the lead. 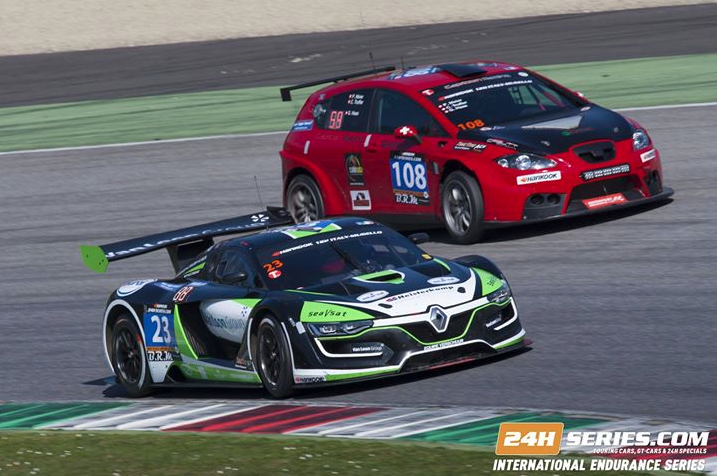 The A6-Am sub class saw the #23 Equipe Verschuur Renault RS01 FGT3 take the overnight lead, ahead of the #17 IDEC SPORT RACING Mercedes SLS AMG GT3. 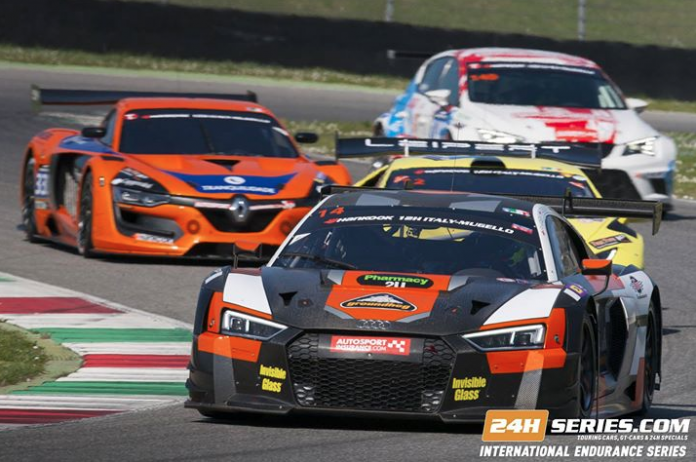 Pole sitters HTP Motorsport GmbH, along with two Car Collection Audi R8 LMS and the Spirit Race Audi R8 LMS ultra, were moved to A6-Pro before the start, which means six cars are fighting for the class win. LMS Engineering leads SP2 with its #206 Audi TTRS2, two laps ahead of the #203 Vortex V8 Vortex 1.0, while in the SP3 class it is the #284 Nova Race Ginetta G55 GT4 that leads. Four cars are still on the lead lap in the SP3 class. The #101 Hofor-Kuepper Racing BMW E46 M3 Coupe took the lead in A3 early in the race and was still leading after four hours, finishing one place ahead of the leader in the TCR class, the #140 PCR Sport Seat Leon Cup Racer. The #146 Bonk Motorsport BMW M235i Racing Cup finished two laps ahead of the #145 sister car in the CUP1 class, while the #169 Barin Ford Fiesta ST is the sole remaining car in the A2 class. 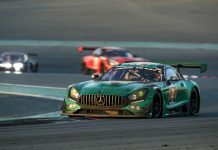 There were 63 starters after the #30 Ram Racing Mercedes-AMG GT3 was forced to withdraw before the race with engine problems. 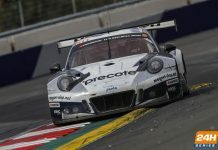 The SP2 pole sitting #24 RTR Projects 2 KTM X-BOW GT was one of the retirements, as was the #911 Precote Herberth Motorsport Porsche 991 GT3 R. Suspension damaged resulted in a very long pit stop for the #777 MP Sports Mercedes SLS AMG GT3, which means it is out of contention for the race win.